Piet Mondrian helped to usher in the neoplasticism art movement with his simple white and black lines and blocks of primary colors. Designers Catherine Denoyelle and Assia Quétin bring those classic paintings to mind with their Monde Riant stationery set for PA Design. 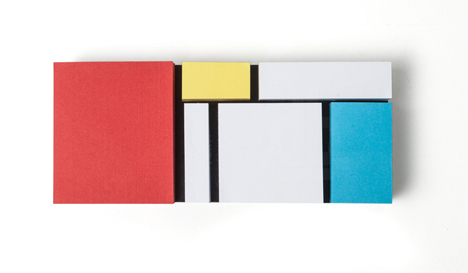 The solid black base is reminiscent of the black lines that separated blocks of color in Mondrian’s paintings. It peeks through the stacks of sticky note papers arranged neatly on top of the base. 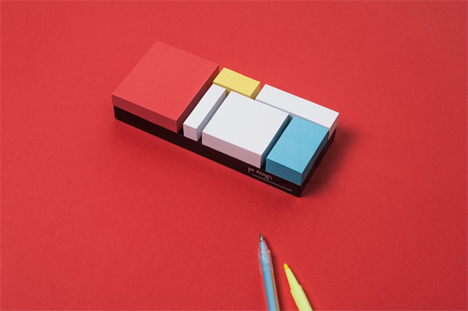 Sitting atop a desk, the sticky note set looks a lot like a Mondrian painting brought into the third dimension. It will begin to take on an even more interesting look when the stacks of papers begin to dwindle and create an entirely different landscape. 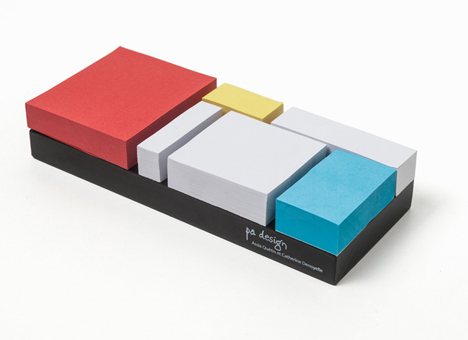 The papers of varying sizes and colors are handy for keeping notes at the office or marking important pages in books. 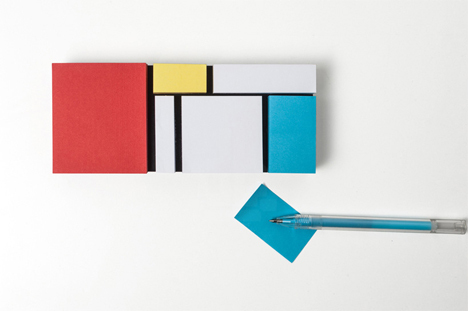 But more importantly, you’ll show everyone in the office you’re a proper art lover with this set adorning your desk.